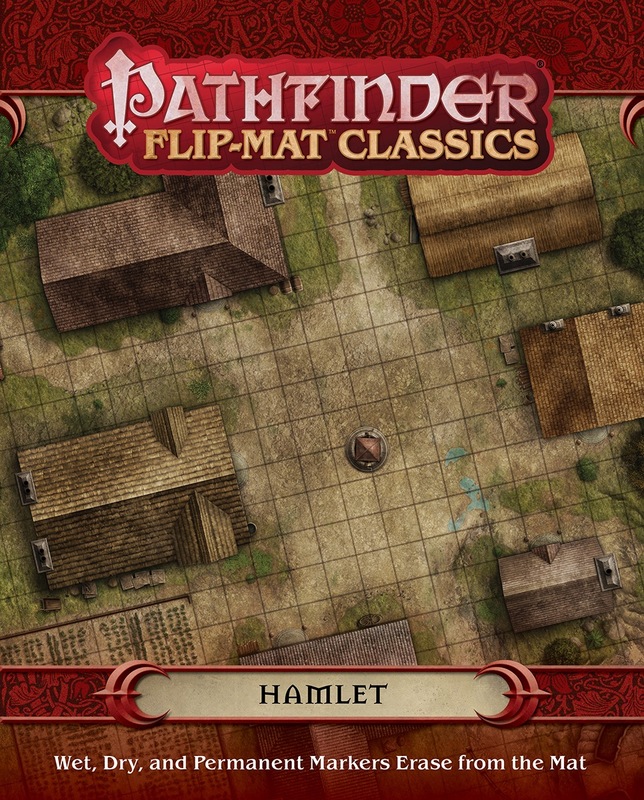 Put your feet up and rest for a while with Flip-Mat Classic: Hamlet, a gorgeous double-sided battle-scale map of two complete settlements! 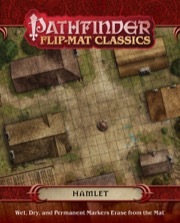 Each side presents a different hamlet. One side features a sleepy village, while the other is a craggy collection of small fortresses overlooking the seedy settlement scene presented in Flip-Mat Warehouse and Pub Crawl!